Vancouver, BC, Canada – The Opening Gala of Vancouver Fashion Week F/W 2017 marks the 29th season of the week-long runway event. The March 20th anticipated event showcased collections from 5 up-and-coming designers graduating from LaSalle’s Fashion Design Program; then gave an exclusive preview to several VFW featured designers including a special sneak peek of Japanese label WASSO VEGE’s latest designs, along with the incredible works of Brazilian based designer Atelier Valeria Costa. ATELIER VALERIA COSTA brought the festivity of the Brazilian celebration of Carnival to the VFW stage! The designer captivated the audience with her designs, amidst a lively showcase of dance and festivity. With each new featured design bringing thunderous applause from the audience. The collection was a combination of couture and lively performance, giving VFW a terrific kick start to the anticipated show, while setting the bar incredibly high for the rest of the week. “For the Love of Couture and Wine” is inspired by the pleasures, fascination and glamour that is associated to both wine and fashion. The collection showcases a mixture of lightness and full bodied-ness by incorporating wine and grape predominant colors. The exquisite of the fineness in wines is displayed by utilizing silk and rich fabrics with hand embroidered applications. “Feeling Textures” is the new ready to wear collection inspired by the desire to innovate by incorporating a variety of textures and materials within a single glamorous and sophisticated piece. The use of leather from the Amazonian fish pirarchu, goat leather, snake leather, and various other textiles acknowledges the Brazilian roots of the Rio based fashion line. VFW is the fastest growing fashion week in the world and the only industry event that actively seeks out to showcase international award winning designers from over 25 global fashion capitals. For 29 seasons, Vancouver Fashion Week has celebrated multiculturalism and up-and-coming on their runways. We strive to identify undiscovered designers by providing an accessible and internationally reputable platform. 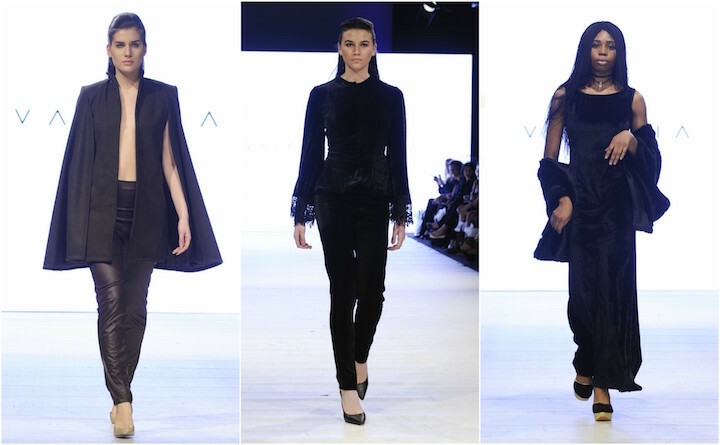 Through international media coverage and cogent buyer connectivity, VFW has provided the exposure to project past designers on to the stages of success.